There was another huge welcome for the fourth place finisher in the Golden Globe. 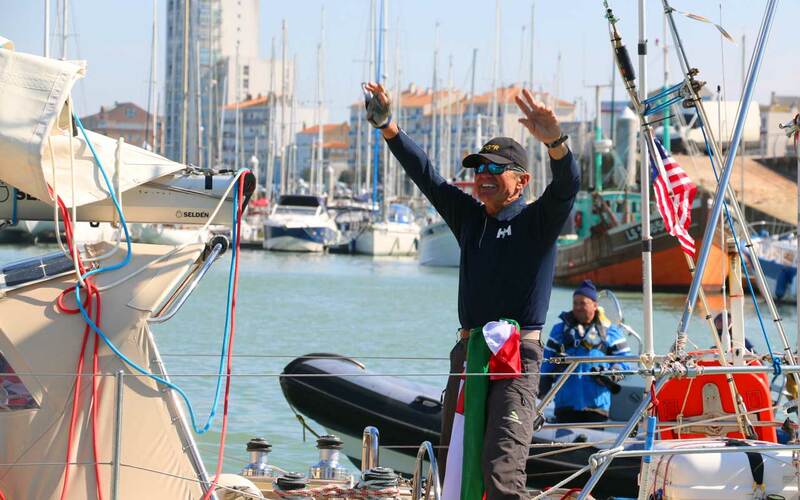 American Hungarian solo yachtsman Istvan Kopar finally reached the finish line off Les Sables d’Olonne, France at 13:58 UTC yesterday completing his lap of the planet in just over 263 days. He has been out sailing since the 1st of July last year. His circumnavigation was not without numerous issues including constant troubles with his self-steering vane. Remember that for the Golden Globe competitors are required to use some kind of wind vane as modern autopilots are not allowed. Right from the first day out he had problems and they were so bad that they forced him to make an emergency stop in the Cape Verde Islands. By making the stop his status would be downgraded to the “Chichester Class,” a class within the race that allowed stops. Here is where things got interesting. While in Sao Vincente he was told that his replacement wind vane would take a week to arrive. Kopar remained on board on anchor and had technically not stepped on land. After getting some well needed rest he too another look at his damaged wind vane only to discover that it had been wrongly assembled. He reassembled it the correct way and set off again with the unit working just fine. He applied to the race organizers to have his status reinstated to Golden Globe status and since he had not gone ashore or received any kind of outside help he was granted the GGR status. The committee did, however, penalize him for going into a port as well as for using his emergency satellite phone. His wind vane worked fine for a while but then started to give him trouble and it continued to give him trouble for most of the rest of the race but Istvan is nothing if not inventive. He was able to cobble things together and make it around the world. This trip was not his first solo circumnavigation. in 1990/91 he circumnavigated with just one stop. That trip was similar in spirit to the Golden Globe race as he did the trip relying on a sextant and manual chart plotting along with weather forecasts broadcast in Morse code. That experience readied him for the challenges he faced in the Golden Globe and he did, for the most part, overcome all the difficulties that were thrown at him. Istvan said that his most memorable day was rounding Cape Horn and scattering his fathers ashes. “That is one of my best memories,” he said. 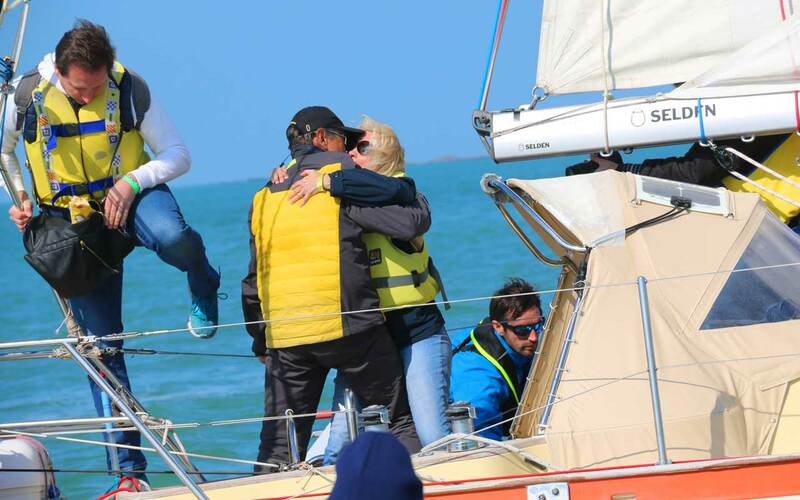 His biggest reward was, he says “Solving all the problems en-route.” With his finish there are now 17 of the original 18 competitors safely back on land. 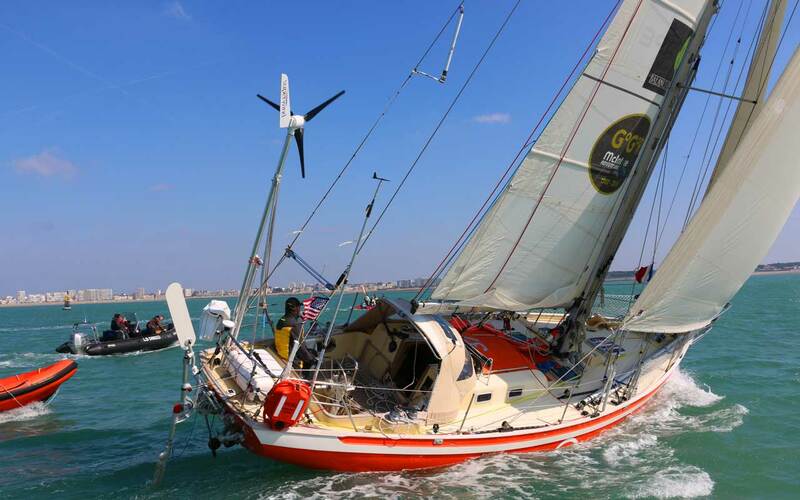 Kopar’s return leaves just one more skipper at sea – Finland’s Tapio Lehtinen and his Gaia 36 Asteria, still 4,227 miles from the finish. He is not expected to finish before mid-May. You have to be a iron man with a very under standing Wife. Congratulations on a bucket list fulfilled ! 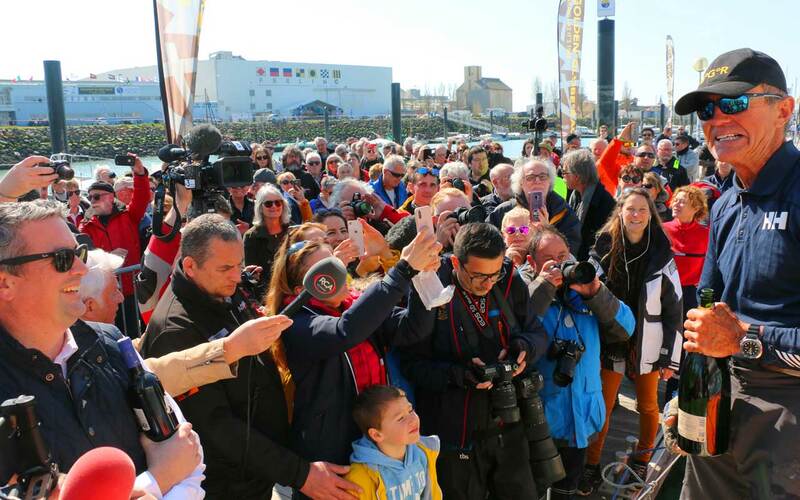 Congratulations to sailor, boat and all countries … Awesome that Sir Robin’s race lives on and is going strong … truly a testament to the human spirit that we all possess … even if only a fraction of these inspiring sailors! I enjoy reading about these events because I know I will never get the chance to do one. I am curious if it is possible to determine what factors determined the order of placing in this race. Was it inherent in boat design/speed, route taken, talent in making the boat go fast, sails? Great story, Brian — thanks! I just wonder how Kopar got his hull so clean and bright after being at sea so long. I hang one every word you produce. You are living my dream. Safe passages and gentle seas.